So your old hot water heater bursts. Now what? Then, of course, it’s time to replace it. What you might not know is that while your old water heater tank was quietly building up the sludge and scale that caused it to burst, new regulations for the manufacture of hot water heaters came into effect April 2015 by the US Department of Energy. Because hot water usage in American households consumes between 15 and 30% of a home’s energy demand, water heating is the second-largest energy expense in your Philadelphia and Southern New Jersey home. Hot water usage accounts for about 12 percent of your utility bill, according to the Department of Energy. 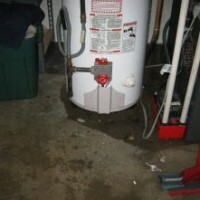 Furthermore, the older your water heater is, the more it costs to run because of the sludge and scale build-up inside. And that’s something we can all breathe easier about. The bad news is, the cost of replacing your old water heater just went up. 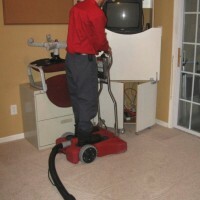 About 20 to 30 percent more, depending on the model and type of installation you choose. 1. 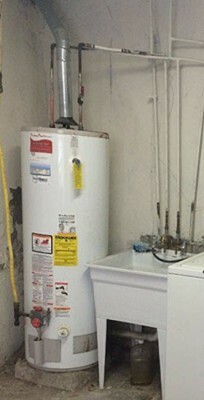 Gas-fired water heaters with tanks in the 30 to 50-gallon range are now required to have at least 2 inches of insulation on the side walls of the tank and 2 to 4 inches at the top of the tank. The new electric water heaters with 55-gallon and larger tanks have hybrid heat pumps that use 50 percent less energy. The problem is, the new units are much larger than their older cousins to accommodate the energy efficiency changes. The new tanked water heaters can be 2 to 12 inches taller and 2 to 8 inches wider, depending on the model. For most Philadelphia and New Jersey homes, replacing your old hot water heater with a new larger one in the basement shouldn’t be an issue. But, if you own a condominium or a mobile home, or if your old hot water heater was installed in a closet, garage, or crawl space, the size of the new models could be a problem. If space is limited, you might be forced to choose a smaller-capacity water heater. Otherwise you may need to re-locate it or invest in costly renovations to your living space in order to accommodate it. 2. The new regulations have also changed the way a hot water heater is installed. Changing your hot water heater isn’t a job for the do-it-yourselfer anymore. 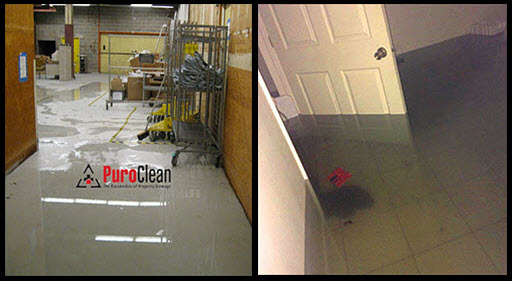 Installation now requires professional help and that drives up the cost of replacement. Gas-fired water heaters with 55-gallon or larger tanks can no longer be vented into a chimney. The new models are “condensing water heaters.” That change requires venting them directly to the outdoors with a PVC vent in order to comply with building codes and standards. 3. The new regulations don’t affect the “on-demand” or “tankless” water heaters because they’re already manufactured for maximum efficiency. 1. 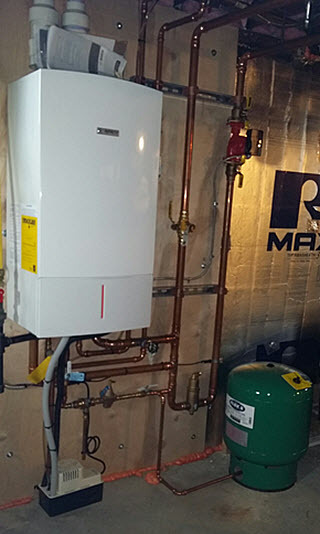 Tankless water heaters are an option for homeowners and business owners who don’t want to make room or can’t afford the cost of renovations to accommodate the new, larger hot water heater systems with tanks. 2. Because tankless units don’t have water storage containers, but instead heat water on demand, hot water to your home or business never runs out. By comparison, traditional tank-based water heaters have to overheat stored water, 24 hours a day, 7 days a week, so that it stays hot enough when you want to use it. That means that a 40 gallon tanked water heater stores exactly 40 gallons of hot water. Once that water is used, all the water gets reheated. This can take as long as 30 minutes. 3. By heating the water on demand, only when you use it, the tankless hot water heaters save energy. For electric tankless systems, this translates to about a 15% saving on the water heating portion of your electric bill. With gas-fired tankless water heaters, it is normal to see a 30% to 40% savings. 4. Tankless systems are safer to operate since they heat the water to only slightly above the level of intended use. 5. 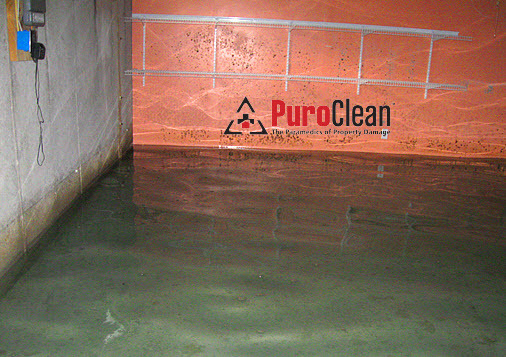 Because water is never stored in the tankless units, scale and sludge buildup are not as much of a problem. That means the life expectancy of a tankless on-demand unit is much longer, about 20 years long. 6. The only major down side of replacing your old water heater with one of the new tankless models is the cost: tankless water heaters cost about three times more than regular heaters to purchase and install. But the good news is, they can last about three times longer than the average lifetime of eight to 10 years for heaters that use tanks. While tankless hot water heaters do last longer than their more conventional cousins, they are not indestructible. They still need yearly maintenance to maintain their efficiency and working order. The cost of maintaining a tankless system is higher because it’s not something homeowners can do themselves. If you have a tankless system in a vacation home, make sure to have it winterized correctly. 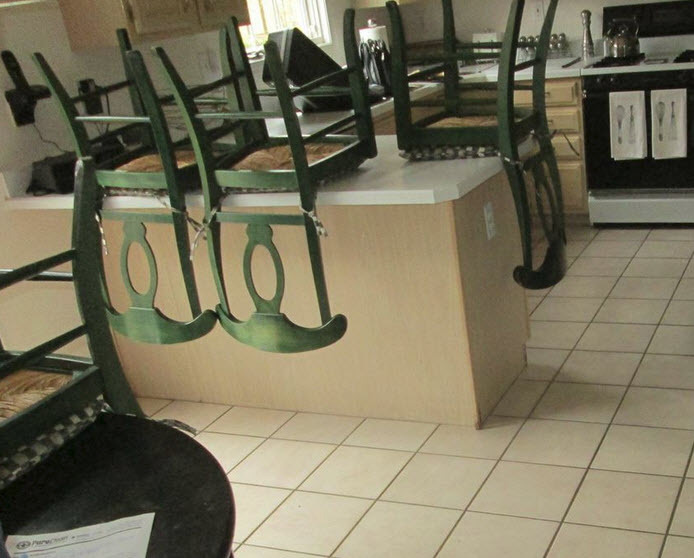 Not doing so could cost you – a lot – like it did for these poor home owners in Margate, NJ. For these unlucky homeowners, the line exiting the tankless hot water heater burst, in winter, when no one was in the home for several months. 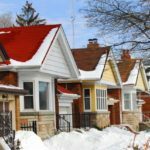 The owners only knew that their tankless hot water heater system had failed when the neighbors noticed steam pouring out the windows on the first floor and called them. 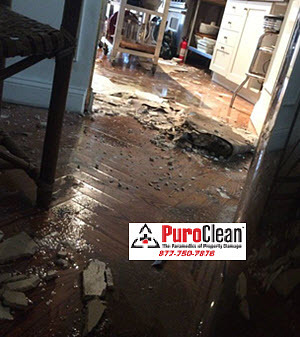 By the time the homeowners arrived, everything in the home was saturated with hot water. It had probably been that way for weeks. 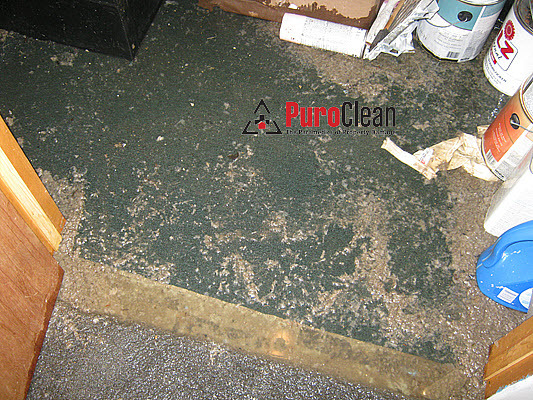 By the time PuroClean Emergency Recovery Services arrived on the scene, every surface in the home was covered with health threatening mold. So the moral of the story is, while tankless hot water heaters are much less likely to burst, components that have not been properly maintained can fail. 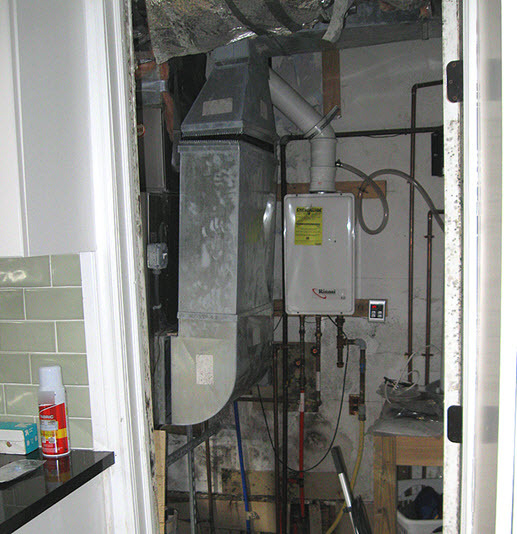 When they do fail, tankless hot water systems can lead to water damage and mold damage of epic proportions. 1. If you have the old style hot water heater with a tank, remember it has a life expectancy of between 9 and 13 years. Consider beating the burst. A failed water heater can cost you thousands in water damage to your home or business! If you don’t know how old your water heater is, look at its serial number. The first four digits of the water heater’s serial number usually represent the year and month of manufacture. 2. If you have already purchased a new hot water heater, follow the manufacturer’s guidelines for maintenance and winterizing. Remember, after your hot water heater bursts, time is of the essence! 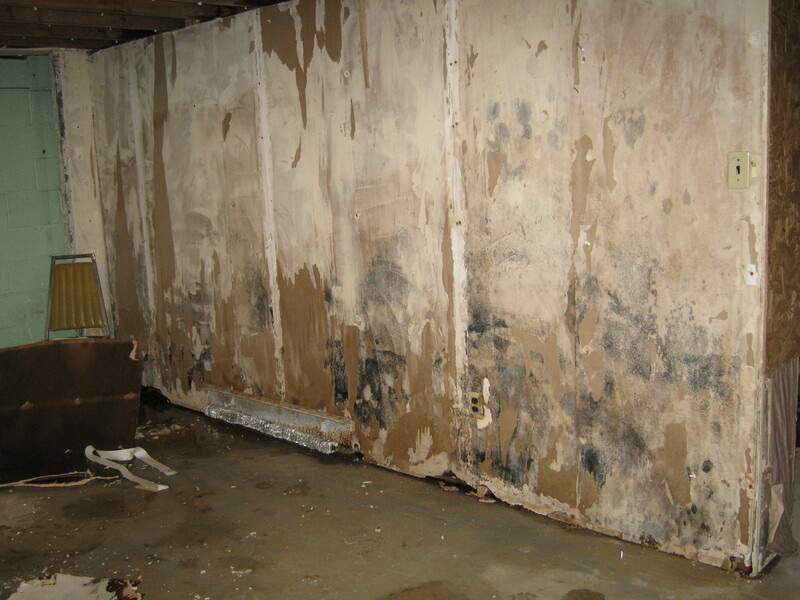 All that water from the flood can grow dangerous bacteria and mold. Thank you for talking about the importance of knowing the rules and regulations that are in place regarding water heaters. It makes sense that educating yourself with this can help you find the best unit that will help you be safe and keep the law. I would want to make sure I find a professional to help me with my unit and make sure it is installed and running properly.